Fox Narrowboats is a narrow boat hire and build business located in March (Near Ely and Cambridge UK) on the Fenland waterways. The uncrowded waterways are split into the Middle Level, River Nene and River Ouse. In addition to providing boating holidays and day boat hire, we have a fully serviced, secure boating marina with 200 moorings. We also build narrowboats for customers who can choose full builds or part builds (DIY). 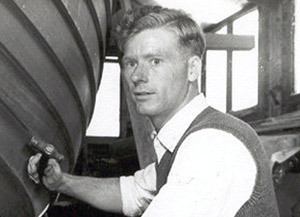 The boat hire and boat building business was started by Charlie Fox in 1952. The family owned and run business has a long history of boat building. Since then we have continued to expand our Marina, evolved the 5 star narrow boat builds, setup a narrowboat chandlery shop and built a website to cater for our boat hire business and the local water users alike. The website provides full online booking: search, details, booking process and payment. This is backed up with our full time office staff, at our reception, who can deal with holiday periods and special requirements to suit you. 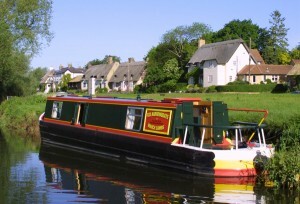 Our boat hire fleet has 4 high grade narrowboats for holidays and day boat hire. The 5 star narrowboat builds have been continuously improved and optimised for comfort, making them ideal for boating holidays. The narrowboats are easy to handle, most come with cycle racks and they are fully kitted out with kitchen facilities, a shower and double beds. We keep our prices honest with no hidden charges such as fuel and boat damage insurance although holiday cancellation insurance is extra. Boat hire holiday questions are answered in our FAQ section.